Linkin Park has returned to the studio to continue work on new album. 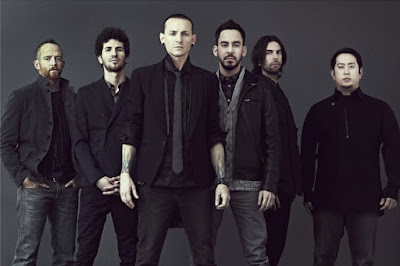 Mike Shinoda said during a live chat with fans earlier today on January 15: "It's going well. It's gonna be [released] later… It's probably, like, second half of this year, I think. But we've started on it. We've got some songs [in the works]. They're mostly just like words and melodies at this point. All the guys are really… I think everybody is pretty happy with where things are at. [Guitarist] Brad [Delson] and [singer] Chester [Bennington] have been coming in with me a lot and it's like… I feel like it's really a good start. We don't have any names for the songs or anything like that. But we're back at the… We did our last two records here, I think… And, yeah, it's mostly just vocals and piano and guitar — like, acoustic guitar — and some samples and stuff at this point. And even as stripped down as that is, I think we're all really happy and we're really excited about where things are going."